Entering a password is so irritating and clumsy that only about half of smartphone owners set up lock screens on their phones, notes Regina Dugan, the former DARPA chief now heading bleeding-edge research at Motorola. What might be better? Passwords that emanate out of your body after being embedded with a tattoo or swallowed via an electronic pill. No, really. Google, for all its futurism and “moon shots,” tries to tread pretty carefully around truly invasive stuff. For instance, it said on Friday that it won’t approve any Google Glass apps that include facial recognition. 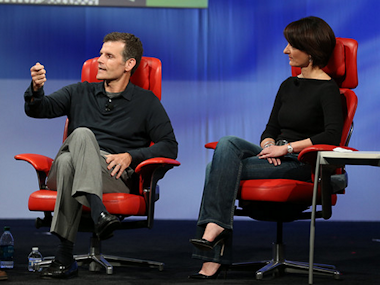 Dugan, who leads the Google-owned Motorola’s advanced technology team, is less restrained. “Electronics are boxy and rigid, and humans are curvy and soft,” Dugan said. So how can a password be more accessible by becoming more like a human body? Perhaps you attach it to the skin as a tattoo, or you swallow it as a pill. And this is less science fiction than reality, at least in Motorola’s lab and on the D11 stage, where Dugan showed off both products. MC10 is a company that makes “stretchable circuits” that can be used for skullcaps to detect concussions in sports, or baby thermometers that constantly track an infant’s vitals. In the form of a temporary tattoo, the technology can attach an antenna and sensors directly on the body. The key MC10 insight is “islands of silicon connected by accordion-like structures to stretch up to 200 percent and still perform,” Dugan said. Dugan demos the password tattoo. 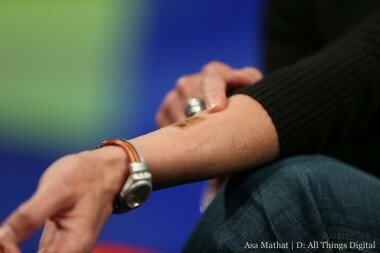 Dugan said Motorola is working with MC10 on a tattoo for authentication, and she showed a prototype on her own arm. This was not some obscure research Motorola plucked out of the air. Earlier this year, MC10 completed an $18 million Series C round from investors including Medtronic and North Bridge Venture Partners. Dugan is also working with a company called Proteus Digital Health that already has FDA clearance for an ingestible sensor as a medical device. She wants to use it for passwords, too. 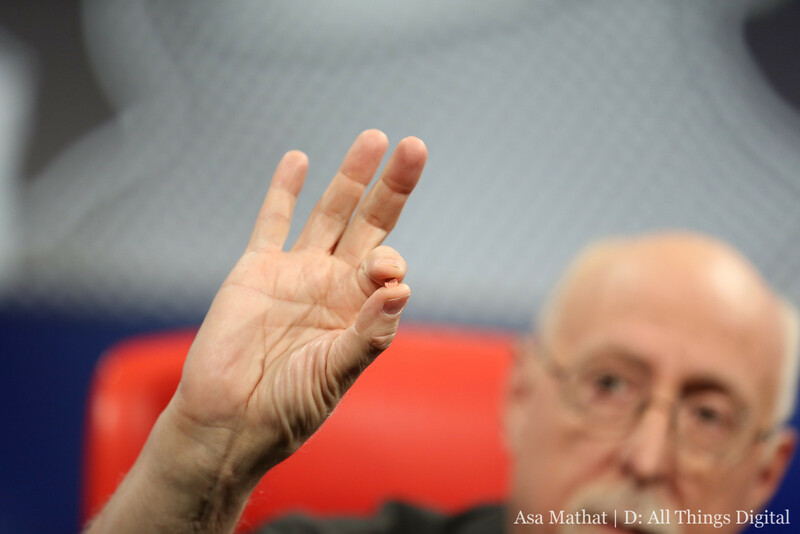 Walt Mossberg holds the password pill. Proteus, by the way, is also pretty far along. It said last month that it had raised $62.5 million in Series F financing from investors including Oracle, Medtronic and Novartis. Onstage, Dugan said that it would be medically safe to ingest 30 of these pills every day for the rest of your life, and that the only thing the pill exposes about its swallower is whether or not it has been taken. But the question is, would people actually do this? How odd would it be to swallow a pill or glue something to your arm to avoid entering a password or pulling out a key? Would you?